I'll always remember the warmth, humor and patience Andy Griffith imbued his greatest creation, Andy Taylor, the peaceful sheriff of Mayberry, NC. His portrayal of fatherhood, fictitious or not, rang with a compelling honesty that still holds up against the puerile vagaries of disposable contemporary television. It's July Fourth and I'll be meditating on my country's humble beginnings and how we have daily chances to enact our deepest, truest faith in the world's greatest experiment. Please enjoy our Birthday in the spirit of warmth and understanding. Kinda like Sheriff Taylor. Hey Andy! Say "hi!" to Goober for me! John, well said. He set the bar for the rest of us dads. By the way, Happy 4th! Happy Independence Day, everybody. Like all good citizens, ashamed of the government I live under--but still immensely thankful to be an American. Always liked the "Andy Griffith Show." A few years back, some idjit at Lew Rockwell called it (Hollywood) "commie propaganda." Apparently some meathead had too much time on his hands. Two other favorites were "No Time for Sergeants" (especially the first half) & "A Face in the Crowd"--reminded me of how DEM pols repeatedly insult even the basic intelligence of the electorate, yet continue to lead their constituency by their collective noses--"I'll have more flexibility [to sell out my country's safety] after the election..." Won't even get started on the most recent SCOTUS baloney... Back in '96, "Missile secrets? Yeah, sure--anything for campaign contributions--just cool it on the threats to nuke California, will ya?" Could bash Jorge W. as well, but that's been done enough already. I'm surprised DEMs don't bash Chester Arthur for not having a non-proliferation platform. Sad that Andy's last "work" was shilling for Obamacare (perhaps a swan song for Lonesome Rhodes). Of all the tributes to Andy I've seen splashed all about the web, this is my favorite. It's the humble and endearing. I was hoping you'd create something to honor him, somehow, and you came through. Cool. Thanks for the kind word. I was just trying to acknowledge Griffith's contribution to Americana. I am back, to correct my typo: "It's the [MOST] humble and endearing." Hey T, ya gotta give Andy credit, he cashed in before ObamaCare kicked in. "puerile vagaries" - sounds like a name of a rock band. 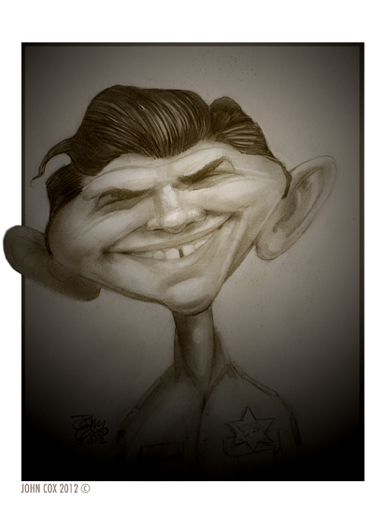 Our country has slithered downhill from Andy Taylor to the Kardashians. That's scary. I'm sorry, the Declaration of Independence does NOT give you the right to be dependent on government - it calls you as an American to be more than that. This page contains a single entry from the blog posted on July 4, 2012 1:31 AM.